It looks similar to our SLS--either through general design necessity or by copying our technology, and will be of similar payload and other specs. The payload to low earth orbit is 130-133 metric tons, as indeed is necessary for manned lunar missions. 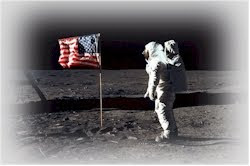 They are going to the moon and beyond--are we? 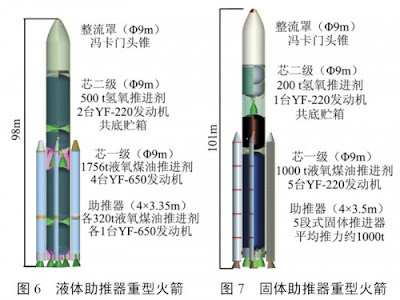 The two options for China’s “Super Saturn V” rocket are the favored “Option A” oxygen/kerosene version at left and less favored oxygen/hydrogen “Option B” with solid rocket boosters on the right.